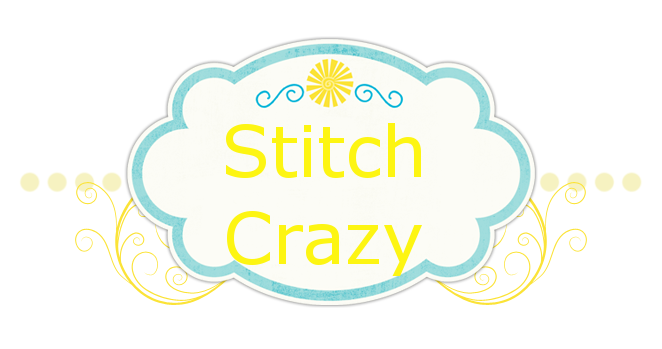 Stitch Crazy: 2 Days...2 Posts!!! Hello blog world!! I'm bored!! And I think I'm in trouble!! I've got "A Beautiful Wolf" soaking. I picked it up the other day and someone had spilled something on it. So in the mean time I've been working on "All Decked Out". A cute snowman that should of been done with 3 threads, not the 2 I've done 3/4 of it in. I'll go back in with another thread of the right color and some kreinik and add a stitch when I'm able to place my order after taxes. BUT, it is just not holding my interest!! I think I did maybe 40 stitches on it today. I did go through and pick out what I want to try and stitch this year. I keep wanting to go start a new project. I'm afraid I'd overload though!! I'm not good at rotating. And I'm worried about freaking out if I have too many projects going. But then the other side of the brain says, well, you want to stitch 2 ornies a month, maybe you could pull one of those out?? I did at least do a few things around the house today. That helped my mood tremendously!! I think a lot of the mood thing is the not being able to get out of the house. I got my camera cord in today but it's not charging my camera. My BIL just stopped by and we were able to find out that the cord and plug works, so it's either the battery, or James messed up the internal part of my camera trying to plug in the bent cord. Luckily, my BIL is going to try and get the battery checked for me tomorrow. Although I don't want it to be the problem, I would rather it be that than the camera itself. Tas is limping a little more strongly today. I did try to look at it again and for the first time I was really afraid she was going to bite me. The toenails all look real good and I checked them real good. The pads look good. Everything looks good. I did give her a pain pill, then she went running all around the yard like nothing was wrong. Of course when it wore off she was limping more. Little stinker. I have called the vet, he said it could be a bruise from stepping on something in the yard, to a sprain, to a fracture. But there is no swelling. She really freaks at the vet and has to be tranquilized every time. And I mean heavily tranquilized, almost like anesthesia level. We're going to watch her for another day or two. If it gets worse we'll take her in. But even the vet said if it's something that we have to wrap it for, we know how difficult she is about that. Even coned she has to be tranquilized to keep the wrap on. Over a few days, that can be hard on their body. So it's some difficult choices. Probably the best choice at this time is to just keep an eye on her. If she gets more protective of it and stronger limping, then most def. take her to the vet. I wish my camera was working so I could post a pic of her!! James should be home from practice soon. I've been watching X-Files while he's been gone. But I'll probably give the TV up to him to chill when he gets home and head off to read. It's 2 am do you know where your children are?